Intel has been the sponsor of the ESL Premiership for the past 4 seasons, working alongside ESL UK to provide consistent opportunities for semi-professional players and talent. In 2018 ESL UK partnered up with Intel for a number of campaigns to highlight the potential in the UK esports scene, and will continue to do that in 2019. Intel and ESL have a long standing partnership that has existed for nearly 20 years globally, with news announced early this year that Intel are investing an additional $100 Million for the next three years. The relationship allows for Intel UK and ESL UK to forge a similar long standing relationship which has helped nurture the growth of the ESL Premiership and local esports scene. ESL UK started working with Intel all the way in 2014, and since then has been a crucial part of the UK and Irish scene, fostering semi-professional players and on air talent who have since moved on to international tournaments. With Intel being the headline sponsor for each of the seasons since the beginning of 2018, they have enabled the Premiership to grow alongside its community. 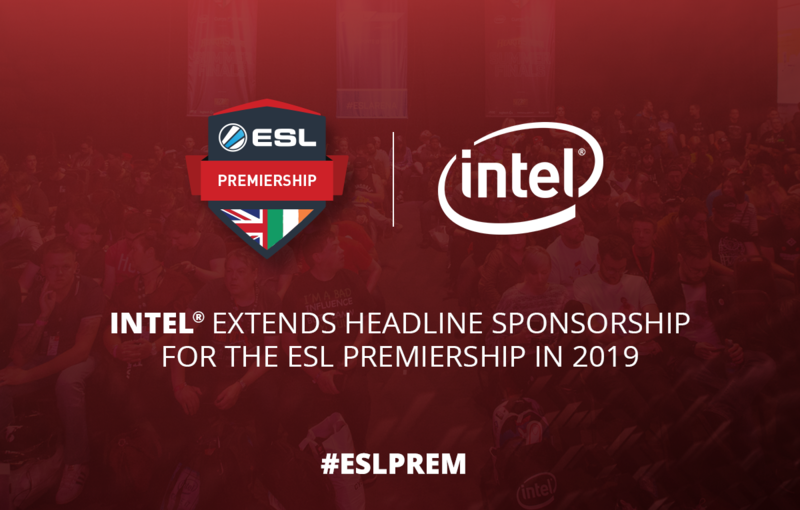 ESL UK are proud to announce Intel are extending their headline sponsorship for the ESL Premiership into 2019. ‘Intel is proud to be returning as the headline sponsor for the ESL UK Premiership in 2019. The partnership with ESL showcases our commitment to support the growth of esports to bring fans the biggest and best events globally and across the UK. Future Generations was a campaign powered by Intel in 2018, where the esports pioneers chose an up-and-coming caster to join them in the ESL Arena at EGX in Birmingham to cast tournaments and conduct interviews for the broadcast and social media. The ESL Premiership titles for 2019 - CS:GO and Rainbow Six Siege for the upcoming three seasons, with the prize pool of £78,500 with additional titles to be announced soon. If you are press and would like to work with ESL UK to cover the season please feel free to reach out to ESL UK Press Team by sending an email to press.uk@eslgaming.com where they can assist with all requests.